The Huawei Mate RS Porsche Design Dual SIM mobile phone exemplifies a smartphone with a next-generation design. It has a double-sided glass body with a black metallic finish. The phone’s 6.0inch Huawei FullView Display renders a stunning visual output. 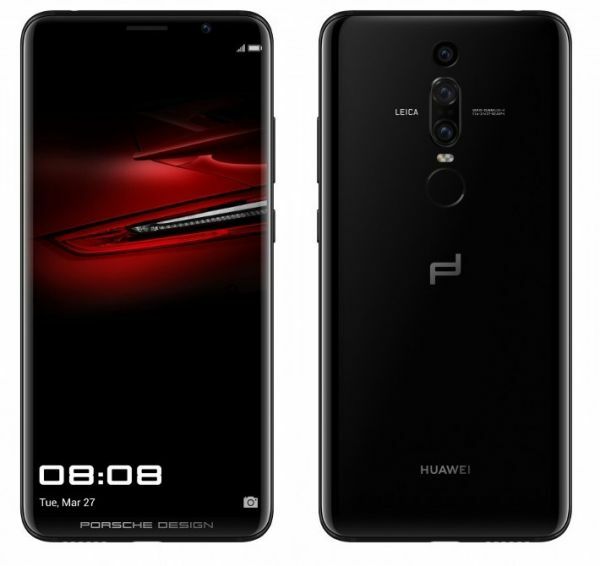 This Huawei Mate RS Porsche Design mobile phone features an in-screen fingerprint sensor that wakes up the device when you float your finger on it and unlocks it quickly when you touch it. The Dolby Atmos speaker has the cinematic 3D sound with dual SLS speakers that deliver surround sound with a dynamic sound range. It has the AI ambient sound recognition technology that cuts down disturbances, letting you hear each sound impeccably clear. Joining hands with Leica, the Huawei Mate RS smartphone features the Leica Triple Camera that captures more details. The 40MP + 20MP + 8MP rear cameras take your photography experience to the next level. The 5x Hybrid zoom lets you click exceptionally clear long-distance pictures. Also, you can click beautiful selfies with the 24MP front camera. You can experience a better level of phone photography with the AIS technology that gives brilliant results in low-light conditions. You can safely store all these photos and other data on the 256GB ROM of this phone. This Porsche design mobile phone has a super-quick charge 4000mAh battery that enables wireless charging. TUV Safety Certified Huawei SuperCharge feature of this phone’s battery gives a smart power saving option that makes your battery last for exceptionally long hours on a single fast charge. The Powerful 6GB RAM lets you multitask with ease. This 4G LTE network support lets you browse the internet with blazing fast speeds. The Operating System version Android 8.1 lets you access a varied range of apps and services very smoothly. The phone runs on the Kirin 970 AI processor that ensures it responds to everything faster and delivers a speedy performance. This Huawei phone has a wide 6inch screen that gives you a mesmerizing viewing experience. Designed with 8 smooth curves and 6 symmetrical surfaces, this smartphone flaunts a unique and eye-catching look. This mobile phone is powered by the Kirin 970 AI processor that enhances its performance. It permits the EMUI system to understand better understand the needs to respond quickly to every task. This mobile phone has a super-advanced Leica Triple Camera system. The 40MP + 20MP + 8MP rear cameras allow you to click clear, crisp, and detailed images effortlessly. The 24MP front camera lets you capture brilliant selfies. This phone has a powerful 4000mAh battery that you can charge wirelessly, so you can avoid the clutter of cables. On a single super-fast charge, you can use your phone for prolonged hours without worrying about the battery getting drained out. إذا الشخص مقتدر ماديا فالجهاز جميل وفخم ومتميز بشعار بورش بالأسفل ويأتي معه غلاف جلدي بصناعة راقية. يحتوي على بصمتين; واحده بالخلف والأخرى بالشاشة، وكذلك يفتح عن طريق الوجه. الجوال جميل التصميم، كفاءته عالية، مواصفاته رائعة. ارتفاع السعر، عند زين بسعر 5999 ريال.